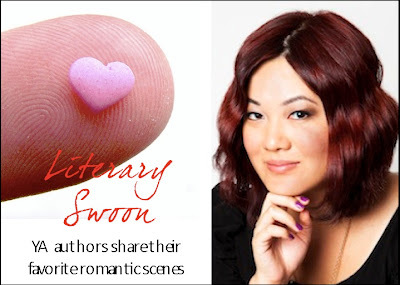 It may seem counter-intuitive to ask someone who had just the faintest hint of romance in her YA debut to participate in our Literary Swoon series, but Aussie author Shirley Marr is such a voracious reader that we had to ask this all-around cool chick what tickles her romantic fancy. Her answer may surprise you! I’m a self-confessed “non-romantic” person, but if I had to choose, it would have to be THIS kissing scene from Chasing Boys by Karen Tayleur. Billed as a “coming of age story for girls with no interest in being Pretty in Pink”, it’s totally me! I’m guilty of hiding under the covers like a little girl and flipping through the pages of this novel to read all the Ariel and Gaston bits! “I know,” I say to him. “You know what?” asks Gaston. He kind of looms over me, but I’m not scared. In fact I feel totally in control. Then suddenly I’m run over by a truck. I’m crushed by an elephant. What I’m trying to say is that Gaston kisses me. The love story in this book turns me into mush. But shhh. Don’t spread. I’ve got a ice princess reputation to maintain. PS – Gaston is Gaston in the Aussie version of this book, but he’s Dylan in the American version! Shirley Marr is a young adult author residing in Australia. Her debut novel Fury is fast becoming a bit of a cult classic and is very difficult to obtain, although you may apply to join the U.S. tour here! 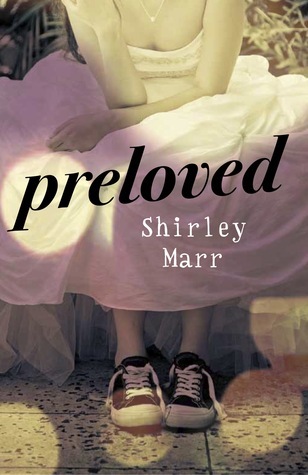 Shirley’s new YA novel Preloved, a paranormal ghost story, will be released on April 1, 2012. Whoa. That scene is HOT. I should go check this book out, not just add it to my TBR pile. I have not read any books by this author but I need to now! I loved the book that she picked. Just that one sections makes me want to go and read the book! OMG! 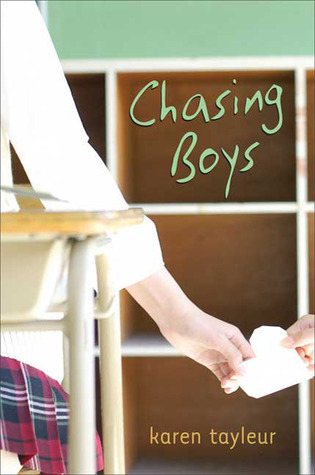 never heard about Chasing Boys before and it sounds totally like my type of book! thnx so much for sharing!! =D Im addint it to my goodreads! woohoo!!! Oh my goodness *runs and adds to TBR*!! I think this is my favorite scene from the week of swoon. Of course it comes from the brilliant Shirley Marr! Wendy, these posts were a fabulous idea! Although, I come to expect nothing less from you! I’ve enjoyed them all. Thank you! Aw, I’m so glad you’re enjoying Literary Swoon week, Rachel! It’s been so much fun to put together. :) The authors’ choices have been really great. It sounds like a really cute scene. It sounds like a sweet book. thanks for sharing. It was the last few sentences that did it for me, too! “Crushed by an elephant” indeed. Shirley is always so much fun. I am going to go look up this title anything that might ruin Ms. Marr’s tough reputation must be investigated. I think I need to read this book!! I am a hopeless romantic so I adore lovey, gushy books. I haven’t heard of it before now. Eeep! What is this Chasing Boys? Is this something I need to add to my Aussie Crack Books? That sounds hawt. Lol. Thanks for sharing, ladies! If this love story managed to turn Shirley Marr to mush, I guess it needs to go on my TBR. ;) Plus, I love that scene. Another great edition to your Literary Swoon series! Yes, if it managed to make this toughie swoon, I’m sure we’ll all be a puddle of mush. :) Thanks Sam!